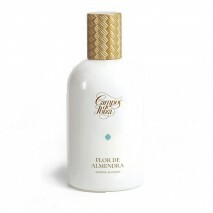 Campos de Ibiza represents the idiosyncrasies of the island known as the Mediterranean Jewel. Olfactory family: Floral Rose-Violet. Suitable for all skin types, generating rich lather that leaves the body fresh, clean and smooth with a pleasant aroma of rose. Top notes: Tangerine, green apple, bergamot and orange.Middle notes: Magnolia, carnation, violet, freesia, ylang-ylang and rose.Base notes: Sandalwood, musk and oak moss.